Rose Community Foundation has been working for many years to help make nonprofit organizations more sustainable. One way we do that is through endowment fund services. Almost all nonprofits are under stress to meet their annual fundraising needs year after year. For many organizations, a reliable source of income from a designated endowment fund lightens their fundraising burden on an annual basis. For individual donors, supporting an endowment fund is a chance to be part of an organization’s long-term vision and help favorite charities live on for future generations. At this time, Rose Community Foundation invests and administers more than $33 million in endowed funds for 27 different nonprofit organizations. Through the comprehensive endowment planning and administrative services offered by our staff, Rose Community Foundation has been helping nonprofits and donors work together to ensure future stability for nonprofit organizations for more than 15 years. Through two successful initiatives, The Endowment Challenge, and Live On: Build Your Jewish Legacy, we’ve helped over 30 nonprofits establish and build endowments, and many are now benefitting from the resulting distributions. The year 2013 marked the tenth anniversary of endowment distributions to the 19 organizations that participated in The Endowment Challenge, which ran from 1999-2002. 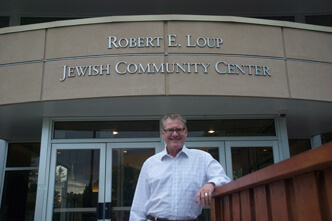 It was an effort that promoted a culture of endowment building in the Jewish community through training and challenge grants provided by Rose Community Foundation in partnership with Allied Jewish Federation of Colorado. Despite the tough economic climate of this past decade, Rose Community Foundation has distributed $10.4 million from these funds to the participating organizations. The current value of those 19 endowments is more than $21 million. In 2005, the Foundation initiated Live On: Build Your Jewish Legacy to encourage endowment growth through bequests and planned gifts. Live On has provided incentive grants, marketing resources and training to 31 organizations, and raised awareness throughout the Jewish community of the benefits of agency endowments and charitable gift planning. Through three phrases of Live On, which ran from 2005 through 2013, the initiative has resulted in the training of 160 lay and staff leaders who have conducted close to 3,000 solicitations resulting in 855 secured legacy gifts valued at approximately $51.5 million. Participating organizations have already benefitted from more than $5.1 million of matured legacy gifts. A new two-year phase of Live On begins in October 2013, offering an opportunity for newly invited participants in the Jewish community to get involved, and for previous participants to continue with the program. And, because Live On has been so successful, Rose Community Foundation will begin offering training and an incentive grant program based on the Live On model to nonprofits in the Greater Denver/Boulder metropolitan area that house or open an endowment fund at the Foundation. Nonprofits interested in establishing an endowment fund at Rose Community Foundation can learn more about endowments at the Foundation or contact Amelia Fink, nonprofit endowments and legacy manager, at afink@RCFdenver.org or 303.398.7452. Learn more about Live On: Build Your Jewish Legacy.